A recently study published in the American Journal of Psychiatry claims no connection between depression or selective serotonin reuptake inhibitors (SSRIs) and infant growth rate. Of the 174 women included in the study, 96 were recruited as controls (no depression and no SSRI use), 46 took SSRIs during pregnancy and 31 suffered major depression but did not take SSRIs during pregnancy. Patients were followed from the 20th week of pregnancy to one year postpartum. When infant weight, height and length were compared between groups, SSRI use and maternal depression did not significantly impact infant growth. Researchers reported no connection between maternal depression, SSRI use and infant growth, which supports previous study results. Use of SSRIs during pregnancy to treat maternal depression has been shown to positively impact maternal quality of life during pregnancy and postpartum period, in previous studies. Source: Wisner KL, Bogen DL, Sit D, McShea M, Hughes C, Rizzo D, Confer A, Luther J, Eng H, Wisniewski SW. 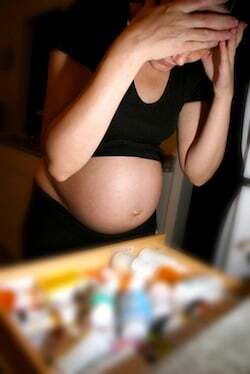 Does Fetal Exposure to SSRIs or Maternal Depression Impact Infant Growth? Am J Psychiatry. 2013 Mar 20. doi: 10.1176/appi.ajp.2012.11121873.